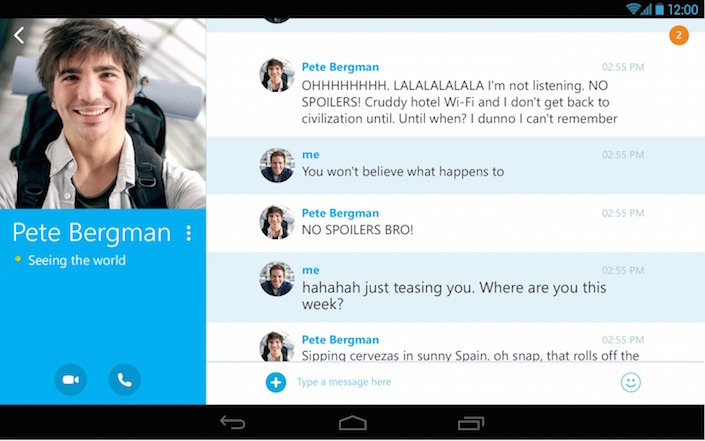 A great thing about Hangouts, is that you can not only have group chats, but also massive video or audio calls. Also, you can synchronize your activity with your Google Account, so if you started a chat on your Moto X, you can continue from your Gmail Inbox or Tablet. 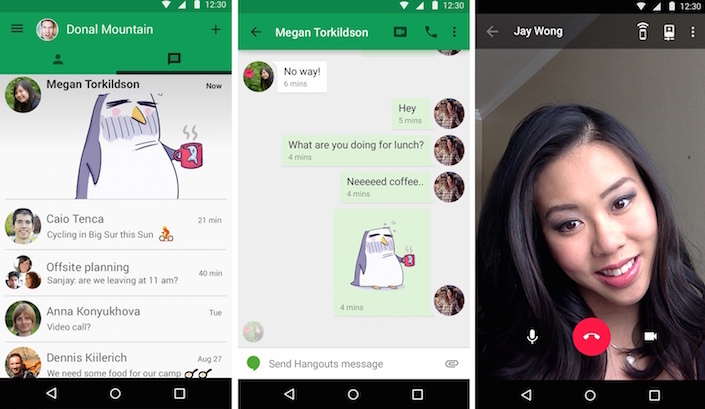 Another good thing about Google Hangouts, is that you can send messages to friends who don´t own a Smartphone and use the messenger from their computers. If they are not online is not a problem, because they will receive them once they login. If you are a social media fan and, Facebook is your favorite way to interact with friends and family, you will love Facebook Messenger, the free app that dedicates 100% to instant messaging, so you need to install it separately from the Facebook App. Facebook Messenger has a lot offer for your Moto X; text messages, group chats, audio calls, photo and video sharing, voice messages and, of course, a great sticker collection. This app can be used even if you don´t have a Facebook Account, and your friends will be able to see your messages from their Smartphone or computer. A great and free alternative that you need to have on your Moto X.
Skype is an app that has been growing a lot, with great features like free audio and video calls, multimedia files sharing, text chat and group conversations. If you need to call to a telephone number, Skype offers the best rates to call to landlines and cell phone number all over the world. If you call someone who uses Skype, it will be free, so it will save you a lot of money if you have it on your Moto X.
Skype used to be more focused on multimedia, but has added great tools that make this app a good addition. It an be used for phones, computers, tablets and even Smart TV.